Dargle Conservancy supports environmental education at a number of schools in the area including the Lions River Primary school, situated beside the Lions River flood plain. 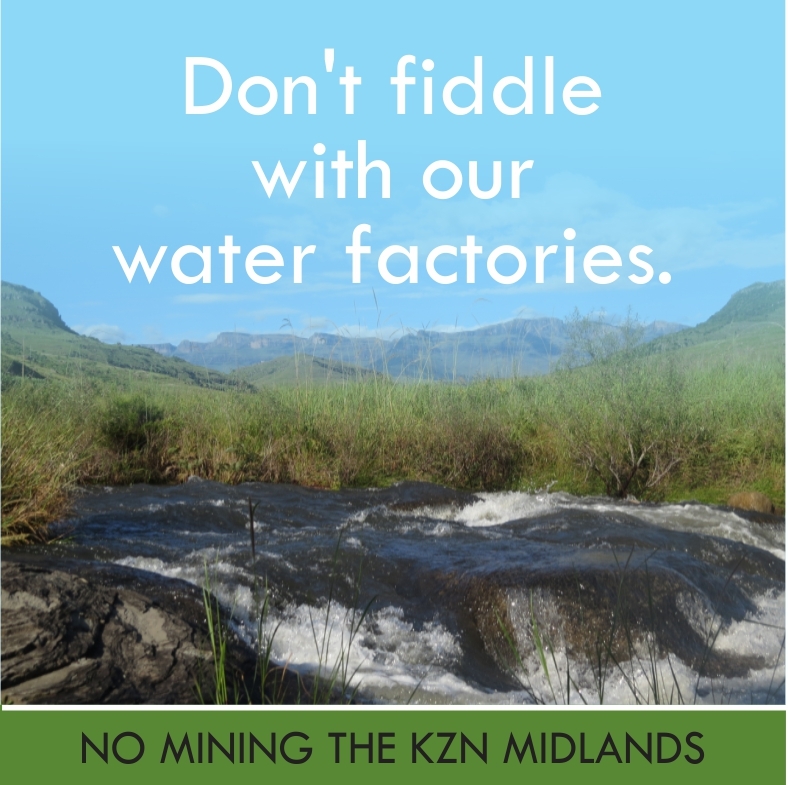 As there is very little point trying to outdo the professionals at their game, Dargle engages the Midlands Meander Education Project (MMAEP) to conduct lessons and activities on their behalf. Although things don’t always go according to plan, there is no doubt that lots of learning happens when the MMAEP Bugs are about. 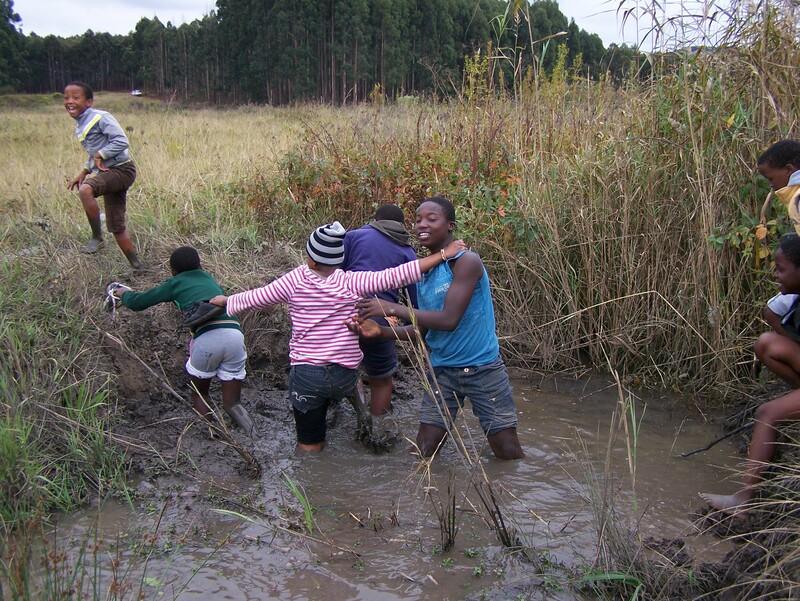 Gugu, Eidin and Nkanyiso arrived early one morning in May to do lessons around wetlands and water. 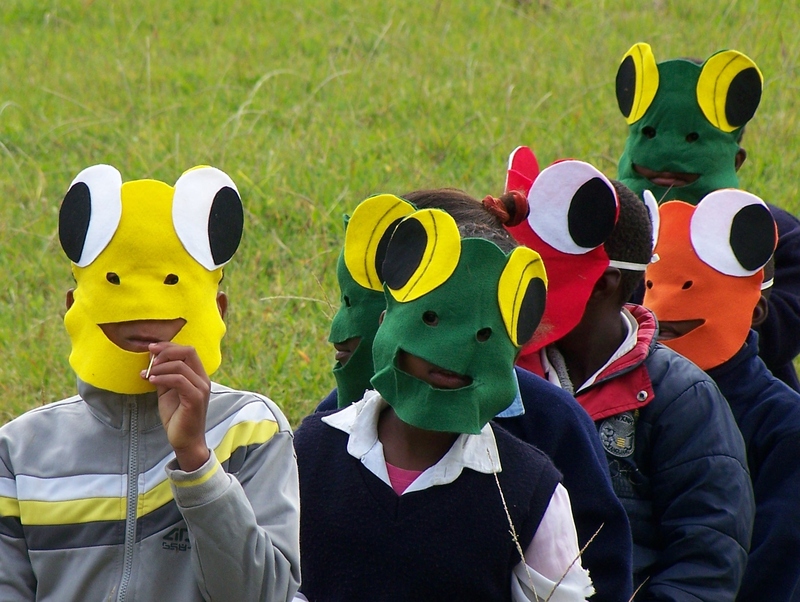 After checking in with all the kids and teachers they handed out frog masks and set off down to the field below the school to warm up, play leap frog games and get excited! Lydia Comins from SAPPI is also very involved in the school and has been planting indigenous trees, re-painting and removing rubbish. Lydia was keen to come along for the day too. 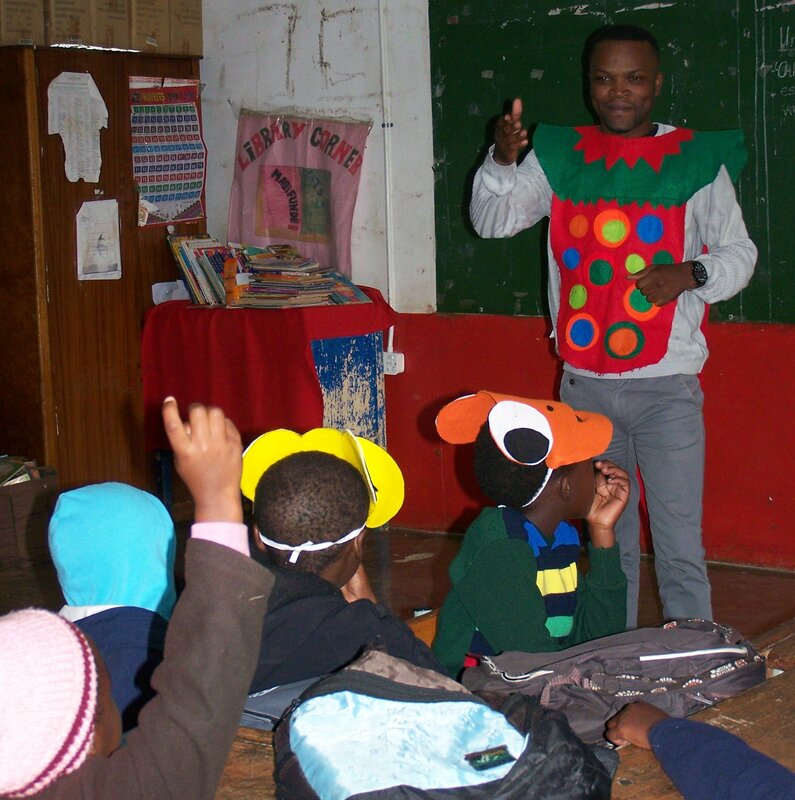 To start, Gugu told the famous Talking Yam story which had the children roaring with laughter. Nkanyiso did a question and answer activity that helps to assess learner’s prior knowledge and understanding about water and wetlands. 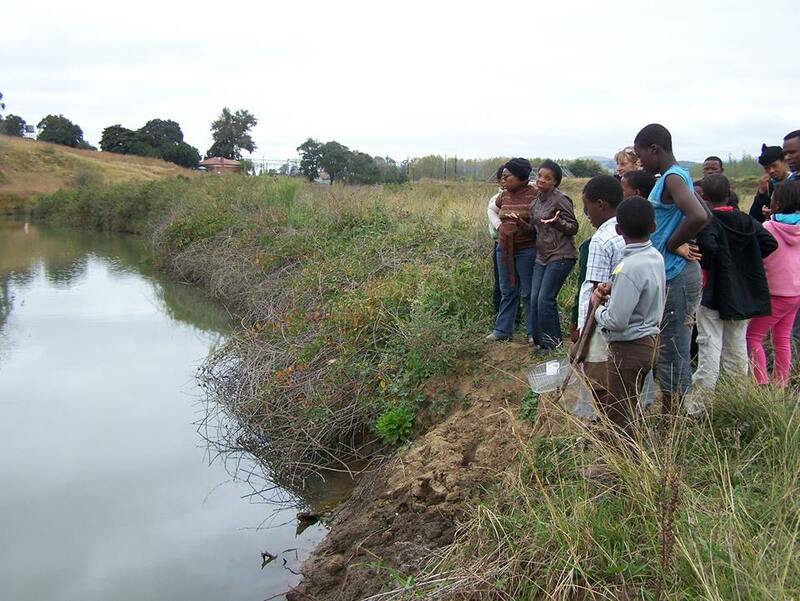 It also helps the learners to be able to identify and analyse environmental problems, improving problem solving and decision making skills. 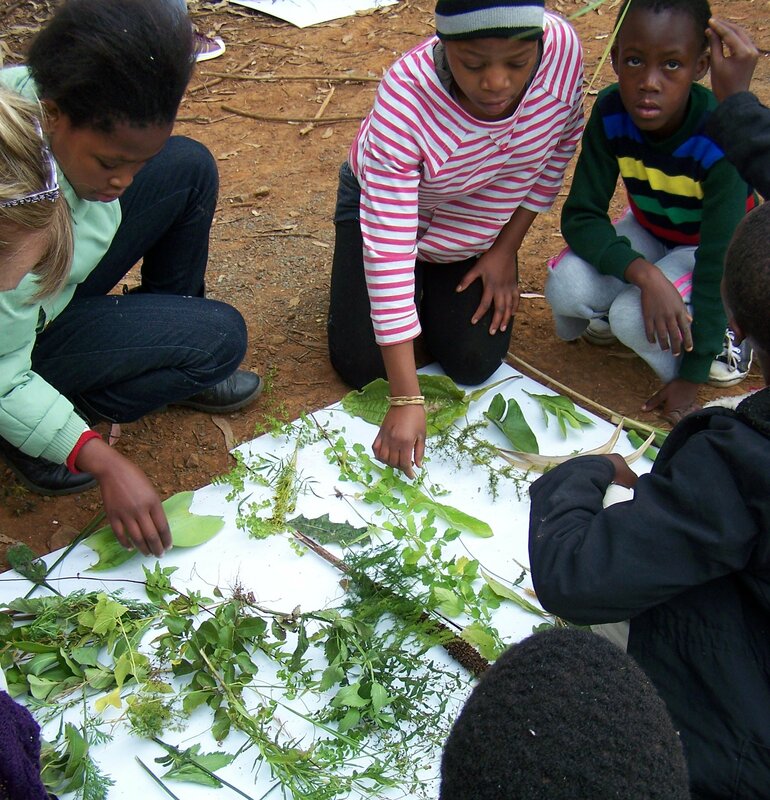 Eidin: “The kids absolutely LOVED Nkanyiso and he kept them on their toes.” Next they played The Windows on our World Wetland poster shows connections, interdependences, and cause and effect relationships. Many new words were learnt from this activity, including erosion, wetland, delineation, alien plants, invasive plants and pollution. Then the highlight of the day – heading outdoors and off to the local wetland to reinforce the classroom learning. 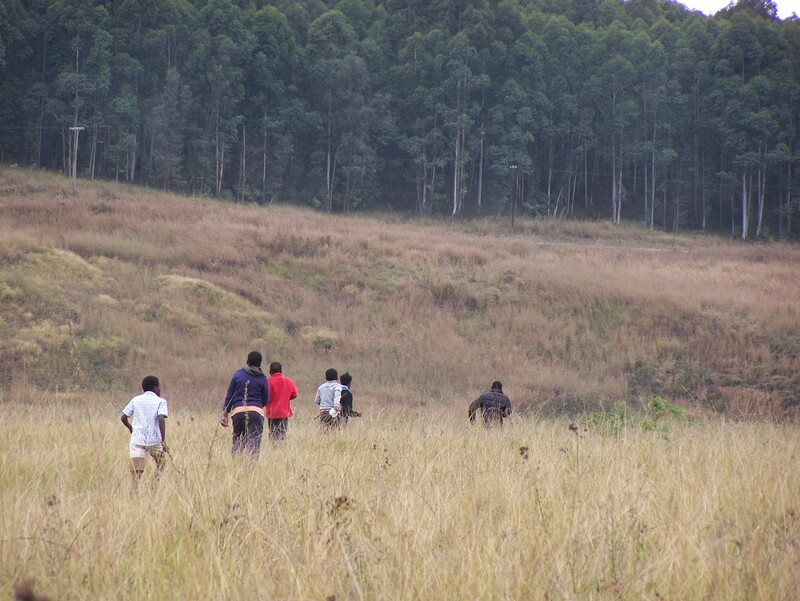 At the edge of the plantation, the kids split into two groups and had a race to find as many different leaves and grasses and flowers as possible. At the sound of the hooter everybody returned with their plants- laid them out on some boards and discussed them. After a snack, everyone trudged off across the wetland to find the river. It was quite a mission through invasive brambles. The wetland is very overgrazed and therefore more vulnerable to getting invaded. When the Lions River was eventually found, it was a depressing and dismal sight. Green and sludgy, the banks choked with brambles. There was no way that the planned search for river creaturesand miniSASS test could be done. Instead a lively discussion on living and lifeless rivers and how a river SHOULD look and why this one looked so bad, followed. We found examples of alien plants – morning glory and indigenous ones too- Juncus krassii and Phragmites. A couple of learners were able to spot frogs and crabs. Back at school, everyone cleaned up, did a little gardening and plant identification before bidding the MMAEP Bugs a fond farewell. ‘When you are in a wetland, you have to go with the flow!’ concluded Lydia Comins who had a great day with the kids, reeds and mud. 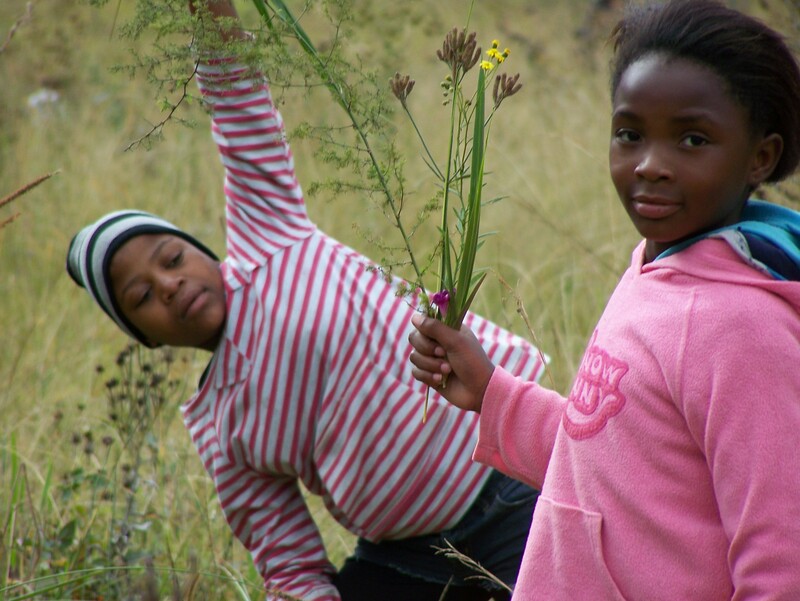 This entry was posted in Environmental Learning and tagged invasive plants, lions river, wetlands on May 19, 2014 by Midlands Conservancies Forum. When with kids, do as kids do! Enjoy the mud! That was definitely a fun learning day, and new meaning to ‘go with the flow’. Love the frog masks!